People young and old can experience stiffness due to injury or the natural aging process. 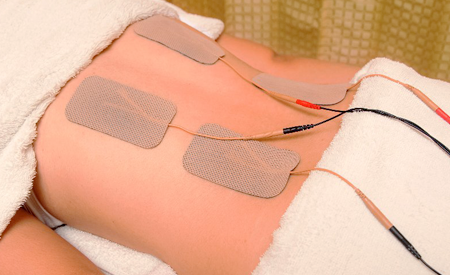 Owsley Chiropractic offers relief for motor issues with functional movement rehabilitation. With the proper care, you will once again have freedom of movement. Our functional movement rehabilitation program assesses each patient's movement patterns to identify areas of concern. The results of the movement assessment determine what parts of the body may be weak, tight, or unbalanced. Improper movement patterns and/or imbalances throughout the body may cause or exacerbate injuries or chronic pain. The goal of the program is to correct postural and motor issues and prevent future injuries and to help mitigate or correct them. A combination of functional movement correction, classic rehabilitation exercises, and stretching is used to bring patients closer to moving throughout everyday life, pain-free. 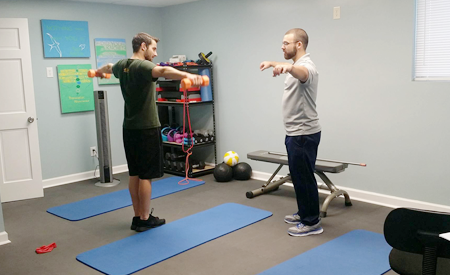 Along with functional movement rehab, we also offer programs on exercise selection and technique in order to meet a patient's specific fitness goals. The intent of these programs is to reduce the risk of exercise-induced injury, promote health and wellness, and to educate our patients on the value of at-home exercise. At Owsley Chiropractic, we strive to teach our patients about proper care and maintenance of their body. We want your healthcare to extend beyond the walls of our office.